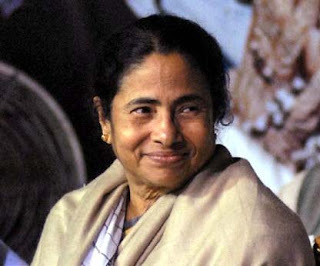 West Bengal Chief Minister Mamata Banerjee on Wednesday announced a slew of development plans for Darjeeling Hills, including an educational hub in Kurseong. Banerjee, who is on a four-day visit to north Bengal, told newsmen that the educational hub being planned at Kurseong would provide oppurtunity for the local youth, who will not be required to leave home to be trained. Steps will be taken for skill development to increase employability of the local youth, she said. The development plans were discussed at two meetings with officials of Gorkhaland Territorial Administration and senior government officials during the day. She said 53,000 toilets will be constructed in the hills for schools and for the community as part of the 'Nirmal Bangla' (Clean Bengal) scheme. Stress would be given to set up toilets in girls schools where they do not exist. Stressing on development of tourism in Darjeeling, called the Queen of the Hills, Banerjee said facilities for the tourists would be looked after by the state government itself. She emphasised on cleanliness in the hill to attract more tourists and said steps would be taken to encourage more of them to visit the remote destinations of Lava and Lolegaon in Darjeeling district known for their natural beauty. "I come only for the sake of development of north Bengal and have intention of any politics," she said. Bimal Gurung, GTA head and chief of Gorkha Janamukti Morcha with whom she held an about hour-long meeting at Richmond Hill, told newsmen that Banerjee had discussed the need to regulate highrises coming up in the hills in view of the devastating earthquake in Nepal and maintaing a balance in the ecology.